Almost all the soil in and around Madison is very alkaline. I'm not sure how accurate these tests are now but several years ago they were considered pretty useless. 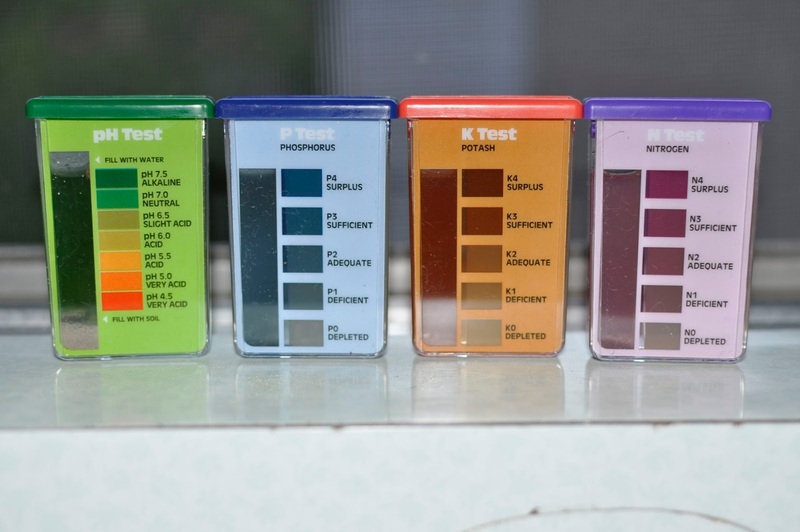 It looks like this test is basically off the chart alkaline. It could be 7.5 or it could be 8.5. I would recommend springing for the extension test and then amending the whole garden to a compromise pH that will work for all the plants. If you shoot for 6.5 to 7.0 you'll be golden. But, with the highly alkaline soil here it can be difficult to get the soil into that range.